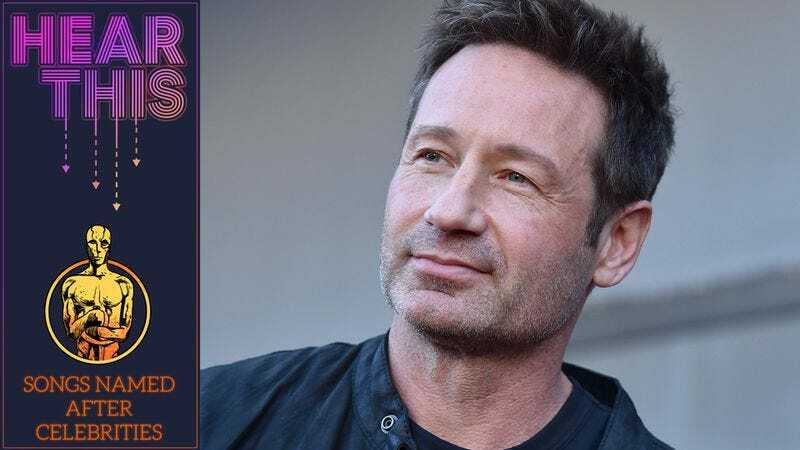 For legions of X-Philes, Bree Sharp’s 1999 cult classic “David Duchovny” remains a watershed moment for Mulder shipping. First and foremost, the song’s alien- and FBI-themed double entendres work beautifully (e.g., references to heart abduction, a desire to have him “debrief and debug me,” the lyric “He told me to believe”). But more notably, Sharp nails the agonizing emotional continuum of the Duchovny crush—from raging jealousy (“I’m gonna kill Scully!”) right on through to romantic anguish (“Why don’t you love me?”). Yet “David Duchovny” would remain a quaint novelty if it wasn’t such a well-crafted song. Sharp’s sturdy, smoky, folk-pop delivery grows more desperate as the song progresses, so by the end she’s subtly unglued over the unrequited infatuation, while the song’s combination of strummy acoustic verses and fuzzy electric choruses isn’t hampered by its 1999 timestamp. Perhaps best of all, Duchovny himself was a huge fan of the song, which a casting director friend of his passed his way. Sharp recently re-did the song to celebrate The X-Files reboot; she also performed the song live at a New York Barnes & Noble during a launch party for Duchovny’s book, Holy Cow: A Modern-Day Dairy Tale in 2015. As The X-Files relaunch attests to Mulder’s indelible popularity, Sharp’s “David Duchovny” continues to resonate.